Texas DWI Defense Attorney Carl David Ceder was awarded the ACS-CHAL Forensic Lawyer-Scientist Designation for completing advanced hands-on courses in Gas Chromatography, Mass Spectrometry, as well as DUI Drug Analysis. The ACS-CHAL Forensic Lawyer-Scientist Designations is the highest form of scientific recognition a DUI defense attorney can receive. It is known, both inside and outside of the ACS, the instructors of these courses wanted to recognize the accomplishment and time commitment of the attorneys who truly learn and understand forensic science as it relates to the law. Texas DWI Defense Attorney Carl David Ceder completed the required courses for the American Chemical Society-Chemistry and the Law Division: Forensic Lawyer Scientist Designation at: Axion Laboratories, Inc. in Chicago, IL. To read more about this accomplishment, please read here: http://www.forensicchromatography.com/acs-chal-forensic-lawyer-scientist-carl-david-ceder-from-texas/. After completing all four required courses, Texas DWI Defense Attorney Carl David Ceder had to pass a rigorous written examination to be eligible for the ACS-CHAL Forensic Lawyer-Scientist Designation. There are currently less than 100 attorneys nationwide that have completed and received the ACS-CHAL Forensic Lawyer-Scientist Designation. Carl obtained certificates from Axion Laboratories Forensic Chromatography: Theory & Practice (2015, 2017), Forensic Analysis of Solid Drugs (2017) and Forensic Principles of DUID (2017) with coursework and training through Axion Analytical Labs, Inc.
Like “poet-warrior” or “philosopher-king,” there are lawyers of a new breed known as the ACS-CHAL Forensic Lawyer-Scientist. 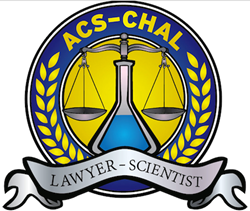 The ACS-CHAL Forensic Lawyer-Scientist is one who uses validated and legitimate science for the benefit of justice. These are lawyers who study the science and apply it legitimately in the courtroom. They expose invalid or non-validated science and use valid science in the courtroom. They eschew the smoke and mirrors techniques of old and embrace the science for the benefit of all. More details on ACS-CHAL Forensic Lawyer – Scientist can be found at: http://www.forensicchromatography.com/. A lawyer-scientist is an attorney with a strong understanding of forensics, chromatography, toxicology, and other related fields, and utilizes this knowledge for the legitimate use in the court of law to best benefit justice. In plain English, this means that your lawyer knows just as much as the science behind the laws as the State’s experts who work in forensic laboratories and testify in criminal trials. 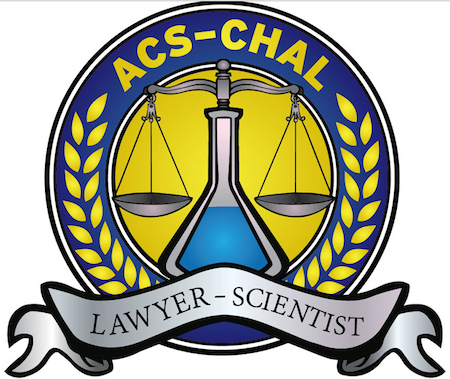 The official title is “The ACS Forensic Lawyer-Scientist Designation as recognized by the Chemistry and the Law Division of the ACS” but ACS-CHAL has approved a shorthand where the person who has earned the honor can say that he or she has earned “The ACS-CHAL Forensic Lawyer-Scientist. The ACS-CHAL Lawyer-scientist is a highly exclusive designation (less than 100 total in the entire nation) given out by the Chemistry and Law Division of the American Chemical Society. In addition to their own independent studies, lawyer-scientists have to pass a series of forensic courses, pass a proficiency examination, maintain strong standing with the bar association and remain an active member of the ACS-Chemistry and the Law Division so that they can stay up to date on the latest scientific advances. The American Chemical Society sponsors and approves the "Forensic Lawyer-Scientist" designation offered for lawyers through Axion Analytical Labs in Chicago, IL. The ACS Education Committee has previously approved all 3 courses. Details on the 3 classes can be found here: http://www.forensicchromatography.com/. 1. The first class (has to be taken twice) “Forensic Chromatography” involves DUI ethanol based analysis by HS-GC-FID. The first and second courses: “Introduction to Forensic Chromatography” focused on ethanol analysis using Head Space Gas Chromatography with a Flame Ionization Detector. This is the process used by most government crime labs in analyzing a driver’s blood sample to try to convict someone of driving under the influence. “Advanced Forensic Chromatography” focuses on the most advanced topics related to Head Space Gas Chromatography, including troubleshooting problems that arise in the chromatography process. 2. The second class “Forensic Drug Analysis” involves the instrumental analysis of solid drugs in their pre-consumption form using FTIR, GC-MS, Colormetrics, Microscopy, Thin Layer Chromatography, etc. The course teaches participants to understand how drug testing in pre-consumption form (solid drug dose) is conducted for nearly all drugs of abuse, sources of uncertainty (misidentification) of the qualitative measure, sources of uncertainty (wrong concentration or weight) of the quantitative measure, representative sampling, validation of methods, bench work, and federal analog act prosecution. Attendees used reagents (colorimetric analysis), GC-MS, GC-FID, and FTIR instruments with samples containing unknowns. 3. The third class “Forensic Principles of DUID” involves the pharmacology of drugs, also driving issues in drugs, as well as instrumental analysis using GC-MS. It primarily focuses on the analysis of biological fluids (blood, urine, hair, oral fluid) for drugs of abuse. As the name implies, it focuses on DUID from the alleged motorist’s point of view. The course included instrumental analysis on the qualitative and quantitative analysis, in addition to pharmacology including pharmacokinetics and pharmacodynamics. The course involved hands-on use of instruments and actual processing of biological samples. All three classes are hands-on classes with labs and actual sample development, testing, and data interpretation. We use the instruments, in the same way, using the same matrices in the Axion Laboratory as an analyst would in a forensic laboratory. They are wonderfully educational and wholly unique. It is known, both inside and outside of the ACS, the instructors of these courses wanted to recognize the accomplishment and time commitment of the attorneys who truly learn and understand forensic science as it relates to the law. To obtain this designation, it is something beyond simply an attendance based achievement, but also recognized retention of the highly specialized knowledge. 1. You must be and remain a member in good standing with the ACS-Chemistry and the Law Division. 2. You must be a lawyer in good standing with your state bar. 3. You must answer questions put to you by CHAL about your bar status upon demand as well as your compliance with all terms and conditions of the designation. 4. You must successfully complete the ACS Forensic Chromatography Course TWO TIMES. 5. You must successfully complete the ACS Solid Drug Dose (Forensic Drug Analysis) Course. 6. You must successfully complete the ACS Forensic DUID (Forensic Principles of DUID) Course. 7. You must pass a proficiency and knowledge examination based upon the courses. 9. You must agree that that these rules and terms may change without future notice or right to appeal. For more information about Texas DWI Defense Attorney Carl David Ceder and his legal services, you can contact him at 214.702.CARL(2275) or visit: http://www.TexasDWIDefender.com.